Seeking to boost overseas business and expand their base of young customers, South Korea’s major banks have adopted a new marketing strategy in recent years: using K-pop groups as brand ambassadors. K-pop celebrities were for some time viewed as an unconventional choice for the banking industry, but partnerships soon rose as an effective way to overcome the conservative and rigid image of the market. 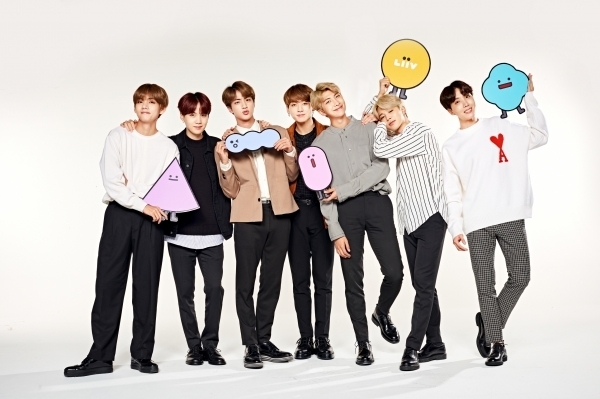 The biggest beneficiary was KB Kookmin Bank, which recently renewed its advertising contract with popular boy band BTS, after a year of successful brand marketing. “The idea of hiring a young pop group as a model had first triggered a backlash from within the company,” an official of the bank said. The bank had previously maintained a longtime sponsorship of figure skating champion Kim Yu-na as brand ambassador. Kim still models for KB Financial Group’s insurance arm. “But the case was quite different then, as Kim was a national sports heroine, known for her prudent character and hard work, making her an undisputed choice for our brand image,” the official said. Despite the initial reservations, the bank’s collaboration with BTS achieved huge success and led to a noticeable rise in the number of young customers, encouraging competitors to follow suit. The first advertising campaign video that was released in February last year immediately went viral and has so far garnered more than 10 million views. Winning the jackpot in the financial product sector was the KB x BTS installment savings plan launched in June, offering special-edition bankbooks with photos of BTS members, as well as an extra 0.1 percentage point of interest rate for deposits made on the group’s debut anniversary or individual members’ birthdays. The product attracted 180,000 customers within six months, marking nearly sixfold growth compared to other regular savings accounts in the previous year. Also, on the eight days of higher interest rates, the amount of deposits soared by more than five times than usual, officials explained. “We expect the actual leverage to be much higher than the sales amount of these products, as BTS has attracted many young people to our social network channels including YouTube,” the official added. Aspiring for similar success was Woori Bank, which recently unveiled its advertisement deal with K-pop girl group Blackpink. “This year not only marks our bank’s 120th anniversary in business but also the first year of turning into a financial holding group,” said an official of the bank. Woori Bank was also noted for its title sponsorship of the League of Legends Champions Korea, the Korean league of LOL, the world’s most popular online game. Shinhan Bank, whose contract with boy band Wanna One expired late last year, is currently reviewing candidates for its next brand models, an official said. The bank’s hit product was the SOL Deep Dream debit card that was offered in 12 different versions featuring the entire 11-piece group or individual members. In March, the issuance application reached the daily maximum of 5,500, reflecting the popularity of the K-pop stars. In addition, its comprehensive mobile application SOL attracted 8 million new customers throughout 2018. “It is regretful that Wanna One had to be disbanded. Considering the synergy they created, it is likely that their contract would have been renewed,” said an official of the banking group. Wanna One, consisting of 11 finalists of a K-pop audition program, was formed for a limited time of just over a year. While receiving less spotlight than competitors, NongHyup Bank also hired rookie girl group Gong Won So Nyeo (GWSN) as the brand’s spokespeople. The agriculture cooperative-based bank, largely favored by senior citizens residing in rural areas or working in agricultural affairs, has been striving to attract young customers to create a more sustainable business.